(LONG VALLEY) – New Jersey Secretary of Agriculture Douglas H. Fisher and New Jersey Equestrian of the Year Pier Semanchik kicked off the Month of the Horse today with a visit to Centenary University’s Equine Program where they toured the Equine Center and watched a riding demonstration. Governor Christie signed a proclamation declaring June 2016 the Month of the Horse in New Jersey. Pier Semanchik, an 11th grader at Hackettstown High School, was named New Jersey Equestrian of the Year by the New Jersey Equine Advisory Board in January. Her duties include representing the New Jersey Equine Advisory Board and attending functions hosted by the Board. Centenary University, formerly Centenary College, in Long Valley is the only four-year institution in the state that offers Associate of Science and Bachelor of Science degrees in Equine Studies. Last year, it also launched a Bachelor of Science in Equine Science (Pre-Veterinary Track). As of May 2016, there are 94 Equine Studies majors and 25 Equine Science majors. Graduates of Centenary’s programs are highly sought after as industry professionals, including competitive riding coaches, trainers, instructors, breeders, therapeutic riding and dressage specialists, barn managers, veterinarians and communications specialists. While the Equine Studies program attracts bright students who are successful in their academics, Centenary University is also known for its incredibly strong riding teams. The American National Riding Commission (ANRC) Team has won two of the last three National Championship titles. In the past 7 years, the Intercollegiate Horse Show Association (IHSA) Team has won three National Championship titles and a Reserve National Championship title. Additionally, throughout the years, the Intercollegiate Dressage Association (IDA) Team has consistently placed amongst the top five teams nationally. 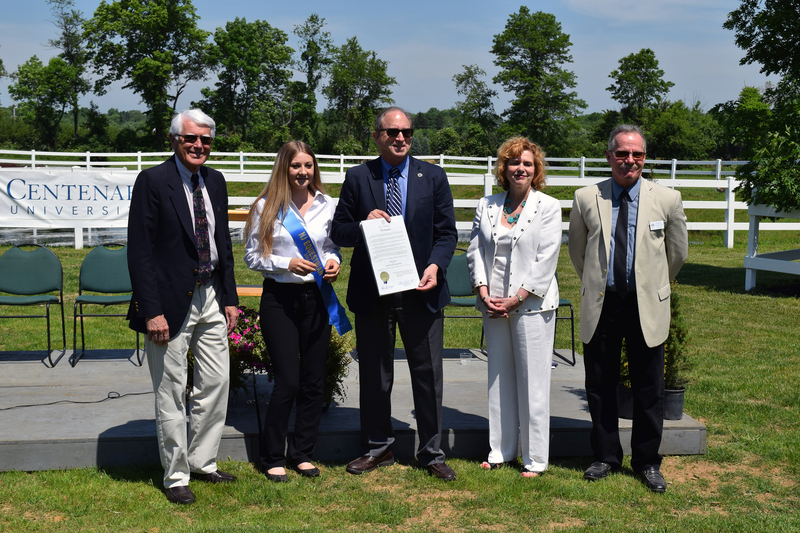 After Secretary Fisher presented a Proclamation signed by Governor Christie declaring June 2016 the Month of the Horse in New Jersey, students provided a riding demonstration on the grounds of Centenary University’s Equine Center. Centenary also offers a therapeutic riding program called TRAC, which has served children and adults with disabilities since 2003. In addition, a program is offered for veterans called Operation Centaur. 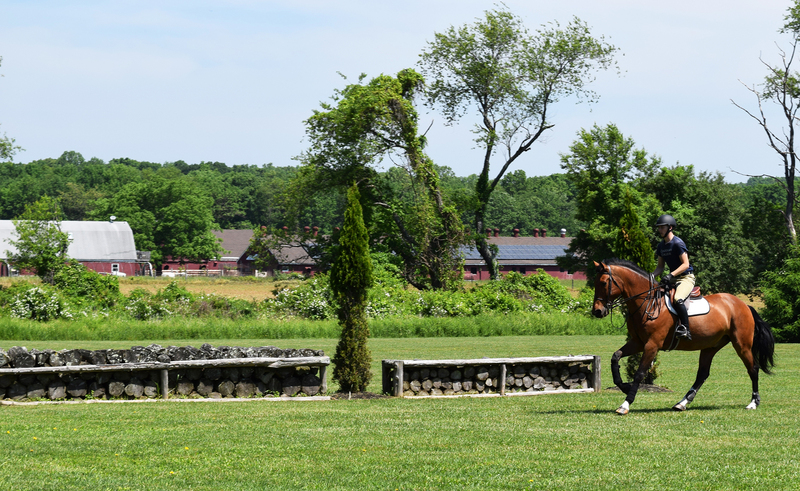 New Jersey has many top equine centers, facilities, and events. The Equine Science Center at Rutgers University, a valuable resource for everything equine in the Garden State, is dedicated to better horse care through research and education. The United States Equestrian Foundation headquartered in Gladstone funds programs that train and support top athletes and horses to compete at the Olympics, World Championships, Pan American Games and other top international competitions. The Horse Park of New Jersey at Stone Tavern in Allentown is a world-class equestrian destination, attracting equine enthusiasts of every discipline. And, the Gloucester County Dream Park is a state-of-the-art equestrian complex created to provide opportunities for horse owners to participate in shows and competitions and for the public to experience horse events firsthand. To learn more about New Jersey’s equine industry, visit www.jerseyequine.nj.gov.